THE BIG QUESTION: What Happened To Jackie Appiah’s ‘Wedding’ Ring?-Answered! 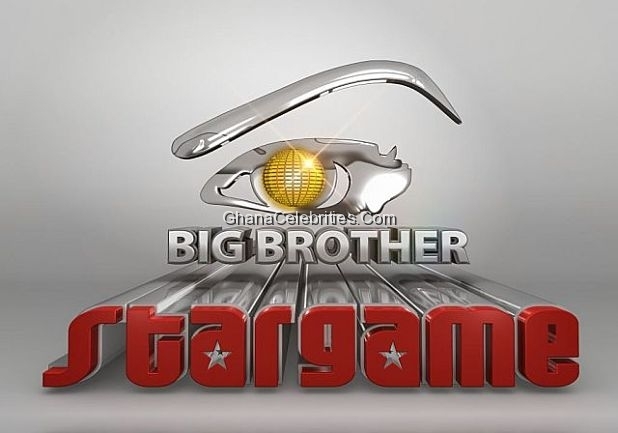 Five of Africa’s hottest musicians are set to take to the stage for the star-studded finale of AfricaMagic’s ultra-popular BIG BROTHER STARGAME in which one housemate will walk away USD 300 000 richer! Superstar Nigerian performer D’ Banj, fresh off the success of his sensational global hit Oliver Twist, has jetted into Johannesburg ahead of the show’s glittering finale on Sunday August 5. He will be joined by East African hip hop powerhouse Navio (Uganda), sizzling South African MC Khuli Chana and award-winning Ghanaian hip-life king Sarkodie while Nigeria’s phenomenal Afro-pop star Naeto C rounds off the line-up! Adding to the excitement of the big night, AfricaMagic has confirmed that it will be screening a special edition of its celeb news show STARGIST, which will be screened LIVE on DStv channel 197 at 19:30 CAT, 30 minutes before the Finale kicks off at 20:00 CAT LIVE on DStv channel 198 and AfricaMagic Entertainment (DStv channel 128). M-Net Africa Managing Director Biola Alabi and Olufemi Ashipa (Brand Manager Colas: Coca Cola Nigeria). StarGist will also interview organizers from the ONE CAMPAIGN, whose focus on sustainable agriculture became a highlight in this year’s house and saw star 2Face Idibia visit the house while Mary J. Blige and Bono sent video messages to housemates. And you can expect to see some of the night’s performers speak with StarGist on the red carpet, in the run-up to their performances later in the evening. At the heart of the BIG BROTHER STARGAME FINALE will be charismatic series host IK Osakioduwa, who will be ably assisted on the night by Channel O VJ and vibrant entertainment personality Denrele Edun, who will be running festivities at the specially constructed fanpark right outside the studio, whilst Ghana’s DJ Champagne keeps the music pumping on stage and at the afterparty. All eyes on the night though will be on the remaining six housemates in the game…Keagan, Kyle, Lady May, Prezzo, Talia and Wati as they and the continent wait anxiously to discover who audiences have voted the winner of the series after 91 dramatic, unforgettable days. Who will it be? Stayed tuned and at the end of the 2-hour, 20-minute finale you will know! Plus to keep up to date with the action as the show comes to an end, remember that you can join other Big Brother fans on Facebook and Twitter to celebrate the series. You can also log on to the series website www.africamagic.tv for more information and news. is gonna be smtin big…Obidi will turn Africa down with the azonto craze…I jst cn’t wait!